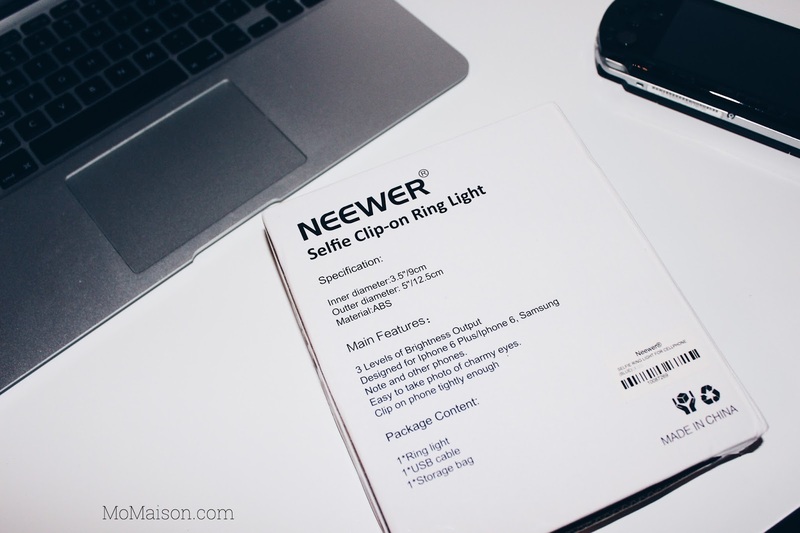 If you're following me on my Instagram, you will know how I love taking selfies (mainly because I don't have an Instagram husband so I can only take selfies hahahaha) so when I received this selfie ring light from Neewer, I was ecstatic and excited to try it!!! It is a multi-use photography/videography lighting which provides uniform light coming straight from the camera's point of view, making it a great tool for even light and eliminating shadows. In more professional photography/videography settings, it is usually a big ring LED light and you put it on a lighting stand. So, what is a selfie ring light? It is still a ring light but portable and lightweight so you can bring it anywhere and attach it to your phone for selfies anytime! On the back of the box, it shows the specifications & main features of the ring light and also lists the products included in the box. 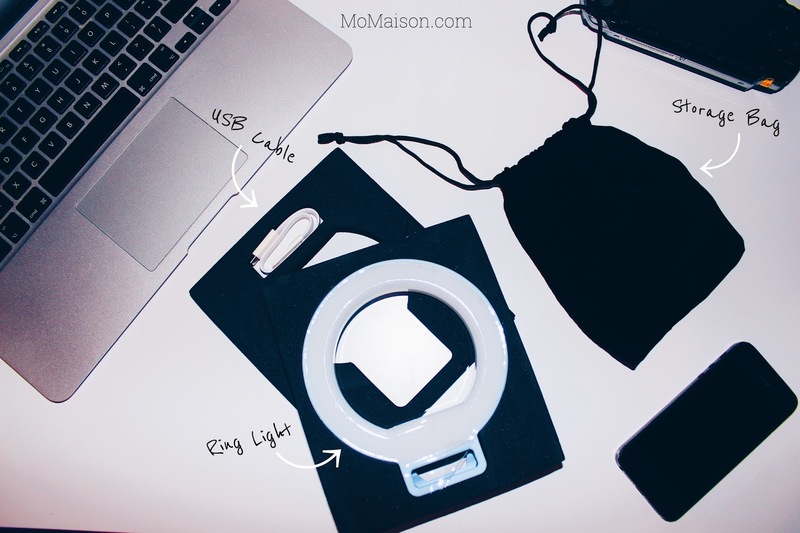 The ring light and USB cable are well protected with a compressed foam around them and the storage bag was packed in the hollow space in the ring light. 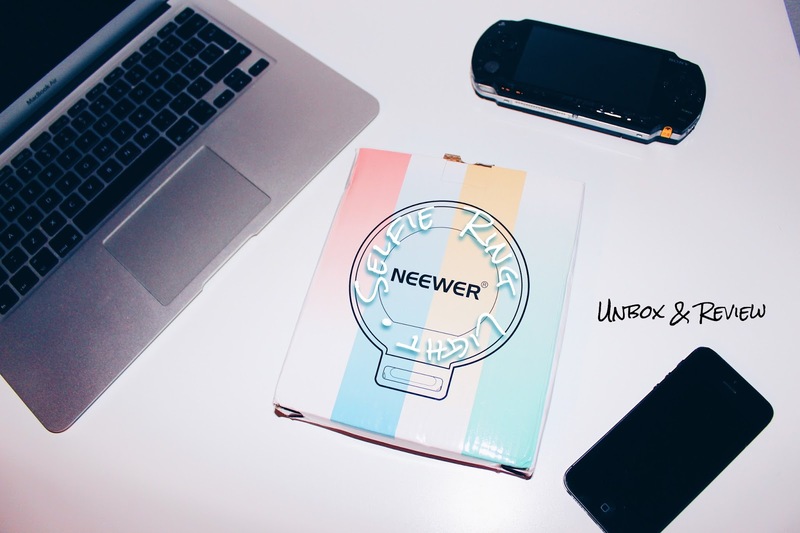 The storage pouch has a velvety feel to it. 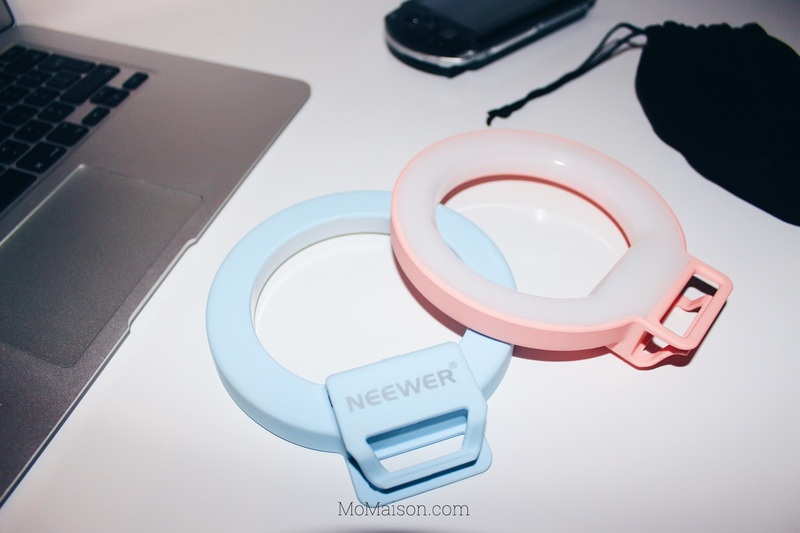 The selfie ring light comes in 2 colors: pink and blue. ↑ Shows the USB cable when laid down and I have also put the pink ring light into the storage pouch so it shows the size of the pouch with the ring light in it. It can fit the ring light and the USB cable just right, not made bigger so it won't take up unnecessary space in your bag/purse. The ring light is also protected with a clear plastic film which you will have to remove upon first usage. The charging cable goes onto this part of the ring light. The cable is very short but the cable head they use is pretty common so if you have a longer one of the same head, you can use it. You can charge it on the computer, a phone charger with a USB connection, or with a portable charger with a USB output. To indicate that it's charging, the light blinks a few times the moment you plug it in to charge/turn on the charger. For a full charge, the charging time is roughly 45 minutes on a phone charger connected to a power socket. And a full charge can last for an estimate of 1 hour on brightness level 3. Or on the back camera! To turn on the ring light, press and hold on the only button on it. Cycle through brightness level with the singular button. To turn off, press and hold again. Now, you would definitely want to see how much of a difference this light would make in taking selfies, wouldn't you? Don't worry! I have it all covered... with photos taken by me myself and I.
Amazing, isn't it?!? Clear photos with lesser noise and grain, perfect for selfies in the dark or at night e.g. in a club, at a concert, or just a night out with friends with no natural sunlight. This is perfect! And I am using my phone's front camera for these photos. Imagine how much better the photos could be using the back camera!!! What a wonderful investment! For just USD 14.99 (special price for my readers, so lucky you!!! U.P. USD 16.89, read on to find out how to get the SP) with free worldwide shipping from NEEWER Aliexpress store, you can take beautiful selfies at anywhere and anytime of the day! The seller will then adjust the price and that is when you enter your card details to pay for the order. Feel free to message me on my Facebook page or on the bottom right hand corner of my page (when I'm online) if you have any enquiries! 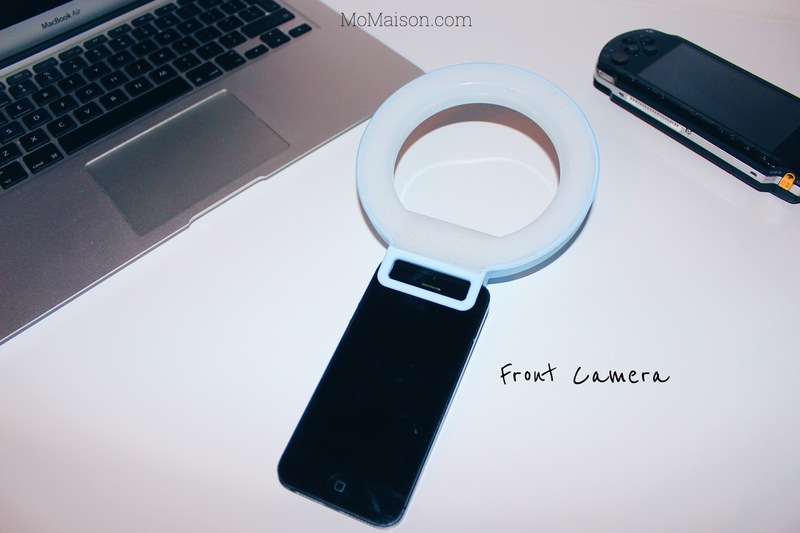 How and where would you love to use this selfie ring light?